A school teacher by day and booty working barre instructor by night, Shaina’s love for health and fitness was not always present. A former college cheerleader, Shaina found it difficult to maintain her weight after graduation. After trying traditional gym workouts and even hiring personal trainers, indoor cycling quickly became her fitness go to and looking for ways to “switch it up,” she stumbled in a barre class and never looked back. 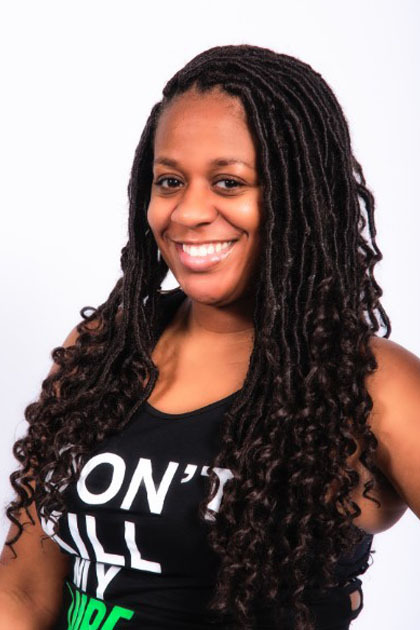 Shaina says “I saw immediate changes in the most stubborn areas of my body: arms, core and thighs.” Amazed with the results, she decided to put her ‘spin’ on the traditional barre routine and that’s how “BarreBootyBeats” was birthed!